The fruit in Costa Rica is exquisite and exotic. The variety of fruit that naturally flourishes in this tropical utopia is quite impressive. Widely known fruits like bananas, avocados, papaya, and pineapple are available at nearly any market. Fruits like guanabana, cas, maracuyá, pitaya, and mamón chino, however, might be entirely new and unknown to you. It would be a shame not to experience some of Costa Rica’s most delicious fruits just because you weren’t sure what they were or how to eat them. Here is a little guide to five fruits that you might have never tasted before but definitely should while you are in Costa Rica. 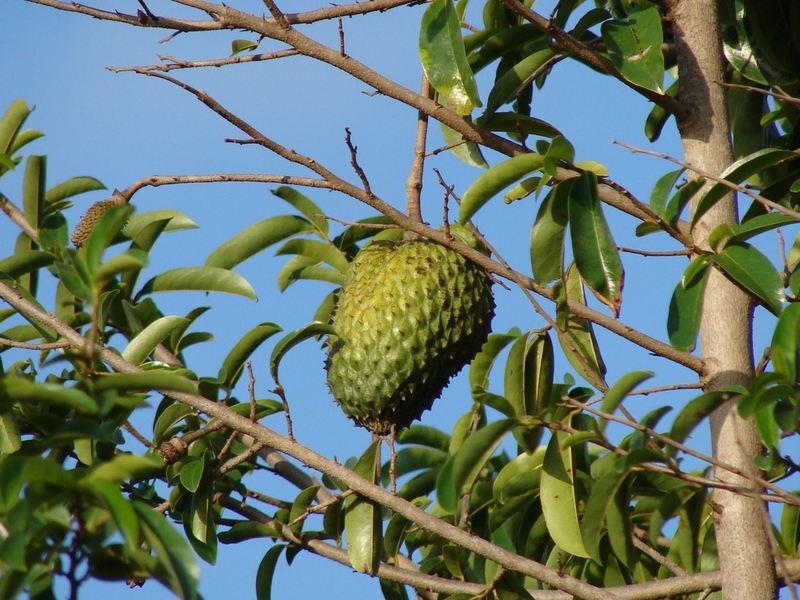 Guanábana, also called soursop, is a strange looking fruit that is native to Central America, the Caribbean, and northern South America. Guanábana is relatively large with a green and slightly spikey exterior. The inside of the fruit is white and fleshy with a circular arrangement of medium-sized black seeds. This fruit is commonly served as a juice or just sliced and eaten whole. What makes the guanábana very special though is its natural cancer-fighting properties. The leaves and fruit also have anti-inflammatory, anti-viral, and anti-parasitic properties. Guanábana is pleasantly sweet and widely available in Costa Rica. 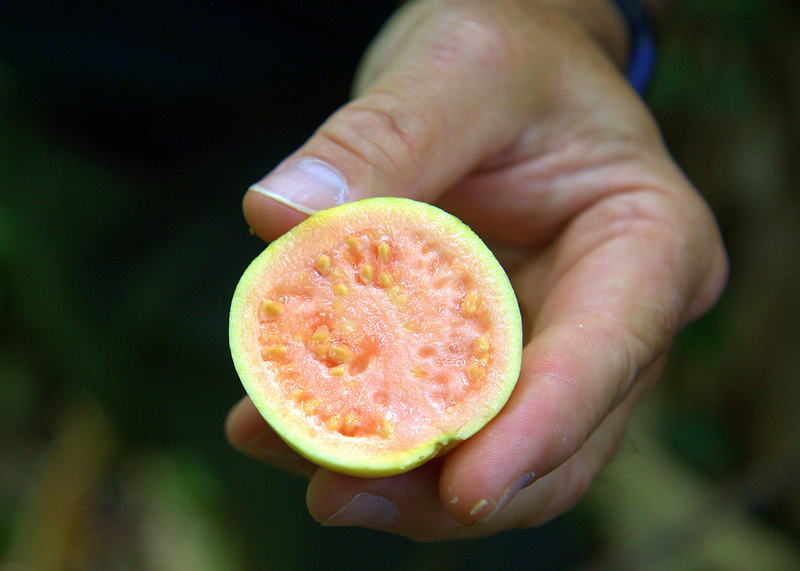 Cas, also known as guava, is an abundant powerhouse fruit found throughout Costa Rica. This pear-shaped (although sometimes round) fruit is lime-green on the outside and pink on the inside. Often served in a juice, jelly, or jam flavor in Costa Rica. The health benefits of this hearty fruit are quite impressive though. 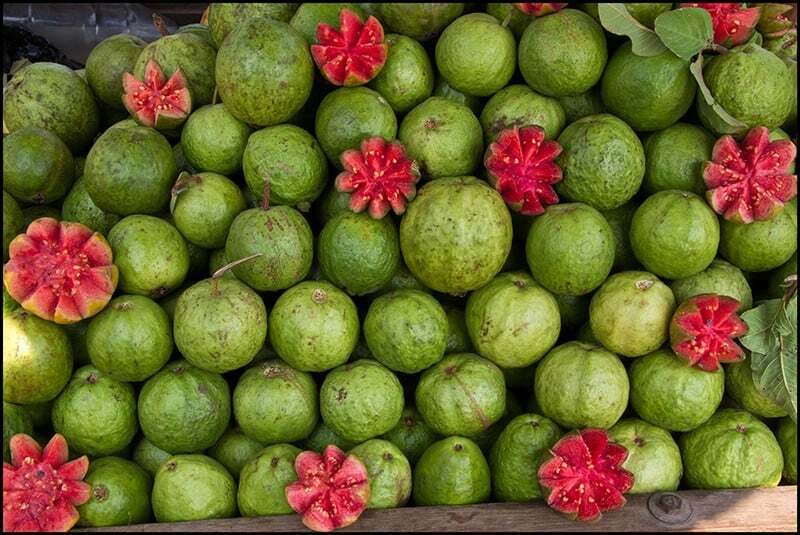 Guava is high in vitamin A, vitamin C, vitamin B6, vitamin E, potassium, calcium, magnesium, iron, sodium, zinc, niacin, dietary fiber, folate, thiamine, and riboflavin. Regular consumption of this fruit promotes a healthy immune system, regulated blood pressure, improved eyesight, and enhanced brain function. It also helps alleviate digestive problems and symptoms associated with the common cold. 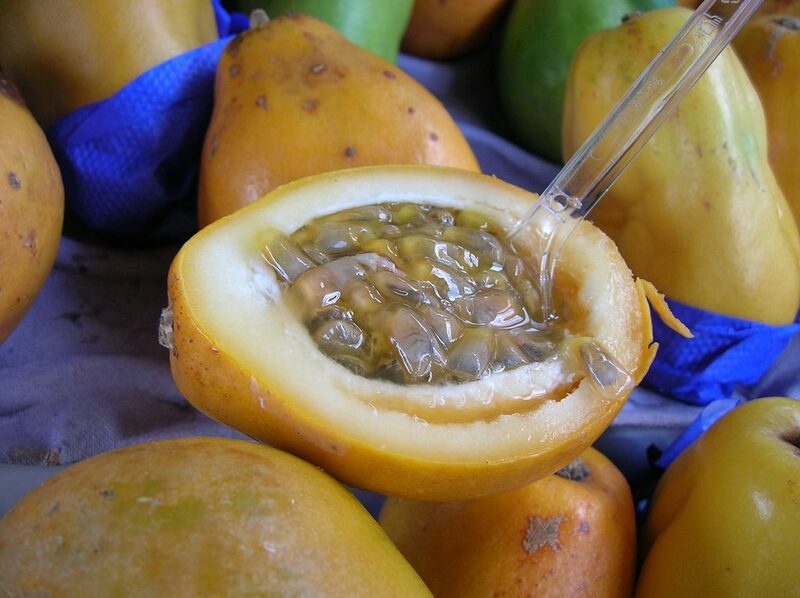 Maracuyá, known in English as passionfruit, is a widely loved snack in Costa Rica. To eat it you must cut it in half and then scoop out the insides with a spoon. Maracuyá is also commonly used in desserts and drinks in Costa Rica. Maracuyá is a great antioxidant-loaded fruit to incorporate into your Costa Rica vacation diet! Pitaya or dragon fruit is a beautiful exotic fruit locally grown in Costa Rica. 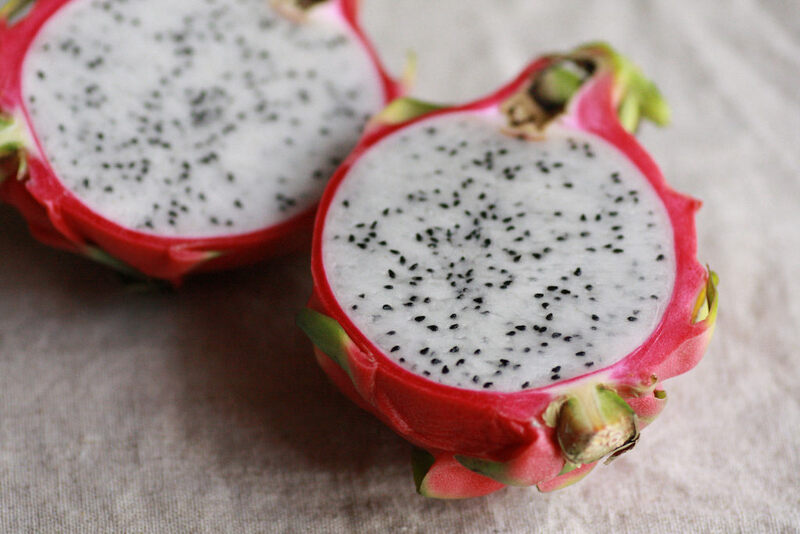 The exterior is vibrant pink, and the inside is white and dotted with tiny edible black seeds. There are however several varieties of dragon fruit. Pitaya is a fruit that many pass up because they don’t know what it is or how to eat it. But it is one that you should try while you are in Costa Rica. Pitaya is full of antioxidants and other vitamins and minerals that are extremely beneficial to your overall health and wellness. This fruit helps support the cardiovascular, immune, and digestive system; as well as combats cancerous cells, reduces inflammation and promotes radiant and healthy skin. Mamón chinos are a type of lychee. 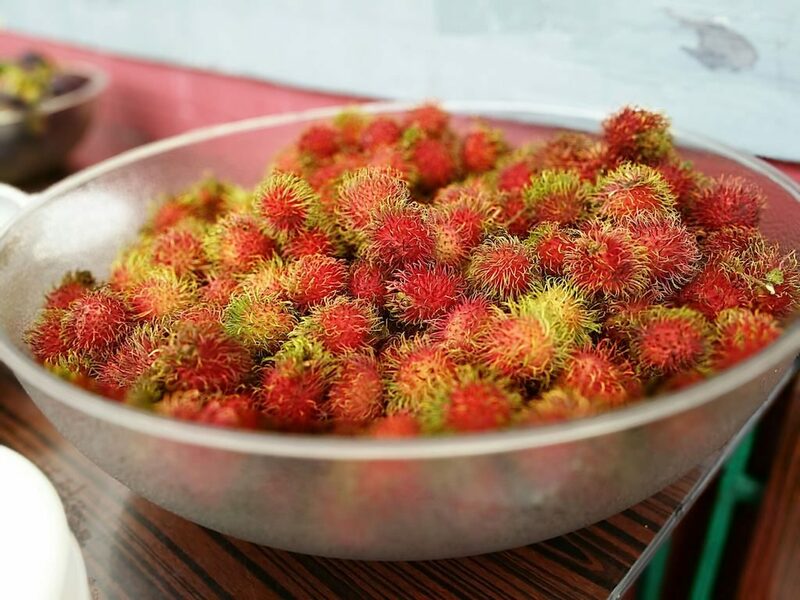 They are called rambutan in other parts of the world. This seasonal treat (usually harvested and sold between July and October) is genuinely delectable and is the ultimate roadside snack. During the season, you can find mamón chinos everywhere. Street-side vendors usually sell them by the kilos. This funny looking fruit looks like something out of a Dr. Seuss book! To eat them you remove the outer shell and eat the sizeable grape-like fruit inside. Be careful of the seed in the middle. It is nearly impossible only to eat one! Don’t miss out on mamón chinos! I am lucky that I observed this weblog, just the right information that I was looking for! .